Die grossen Ritterspiele zu Schaffhausen (aka The Grand Tournament of Schaffhausen) is a ten day long jousting tournament that will be held in association with a large exhibition of jousting artifacts at the Museum zu Allerheiligen in Schaffhausen, Switzerland. The tournament is being organized by Arne Koets with some help from trainers at the Fürstliche Hofreitschule in Bückeburg, the same people who organized and helped with training the riders for the phenomenal Grand Tournament of Sankt Wendel in 2012. Die grossen Ritterspiele von Schaffhausen, 10.–20. Juli 2014 from Museum Allerheiligen SH on Vimeo. The tournament will take place July 10 - 20, 2014, and will be held in the Herrenacker -- the central square in the historic area of Schaffhausen. The city of Schaffhausen, and specifically the Herrenacker, were a major venue for jousting tournaments in the late middle ages. For this modern tournament, some of the best historical riders from all over Europe will gather to compete in both the joust and in mounted melees. 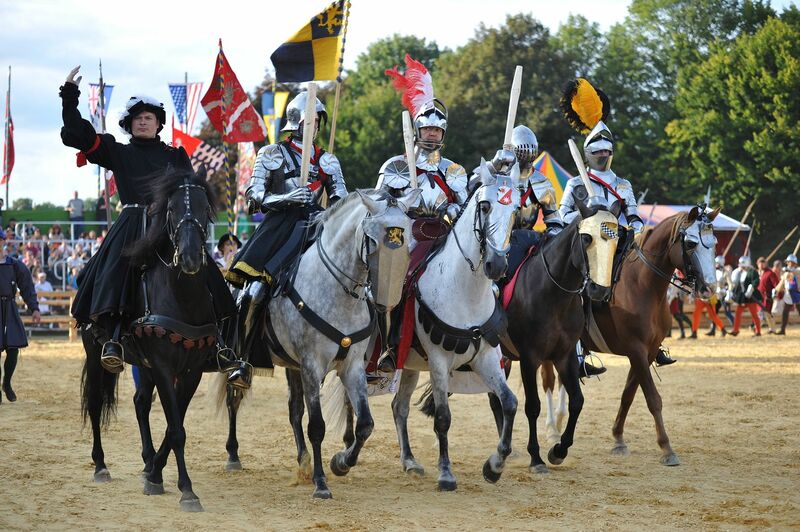 The competitors will be wearing historically correct armour and riding specially trained horses. During the joust, they will be using shaped solid wood lances with steel coronels. Every effort will be made to create the most historically accurate tournament possible. There are numerous articles about the Grand Tournament of Sankt Wendel.